752LF is rated 4.8 out of 5 by 4. 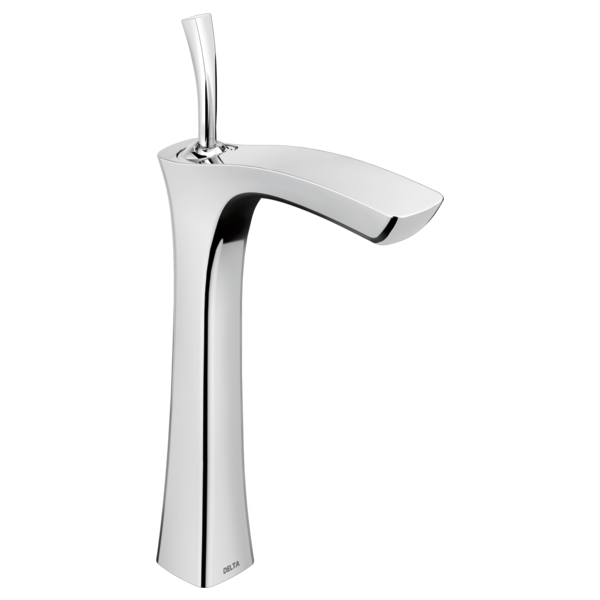 Rated 5 out of 5 by mjs from delta 752lf tesla vessel bathroom faucet Very sleek design with ease of use. 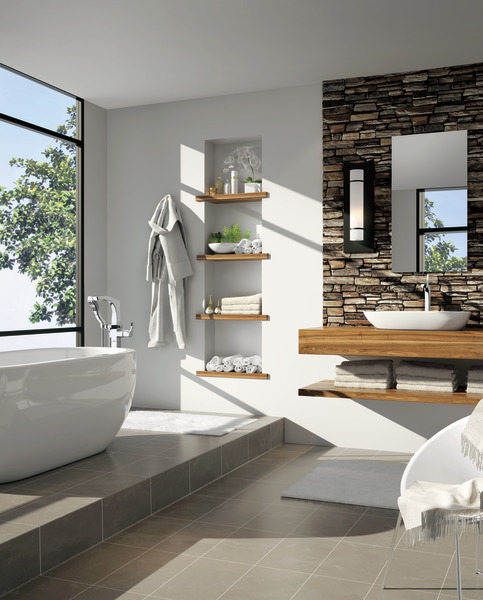 The product looks beautiful in the bathroom. Simple and elegant! Will definitely buy more. 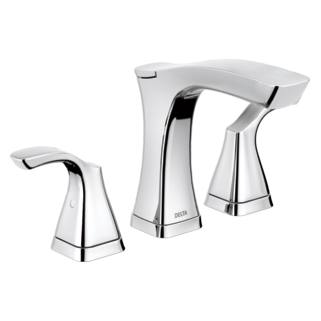 Rated 5 out of 5 by RSHomes from Delta Tesla Faucet Love this Delta Faucet. Great design and very good quality for the price. Rated 4 out of 5 by Oops from Beautiful Faucet We bought two of these for our master bath and had them professionally installed. They're unique, beautiful, and graceful looking, but there's one thing that prompted the 4-star rating rather than a five. Unlike most faucets I've seen, there is apparently no room up at the mixing valve for a direct, internal connection to the spout. Thus, the discharge from the valve goes into a third PEX tube which returns down beneath the vanity and loops back up to the spout. There's a slip-fit connection in that line with a couple of O rings, and an external plastic clip that is the only thing that keeps the connection together under pressure. (I presume that this was the only practical option for install & removal, given the minimum bend radius of PEX tubing). Since I didn't look at the install instructions first (typical homeowner) I removed the clip to see what it was. I learned instantly when water started gushing out (didn't close the valve, either :) After mopping up, I added a couple of small wire ties to each connector to prevent the clips from ever coming off unintentionally. Now the reason for four stars: No matter how the lines underneath the cabinet are positioned or restrained, if you turn the faucet off abruptly there's an audible clunk, due to that long plastic spout tube. If you close the valve handle slowly it's quiet. Although my wife loves the faucets, I feel that a faucet shouldn't go "clunk" when you turn it off. But it is a very pretty faucet. Rated 5 out of 5 by RickS0811 from Worth It Purchased this beautiful faucet as part of our bathroom renovation. Its clean simple lines with just a hint of curve makes it elegant and sophisticated. 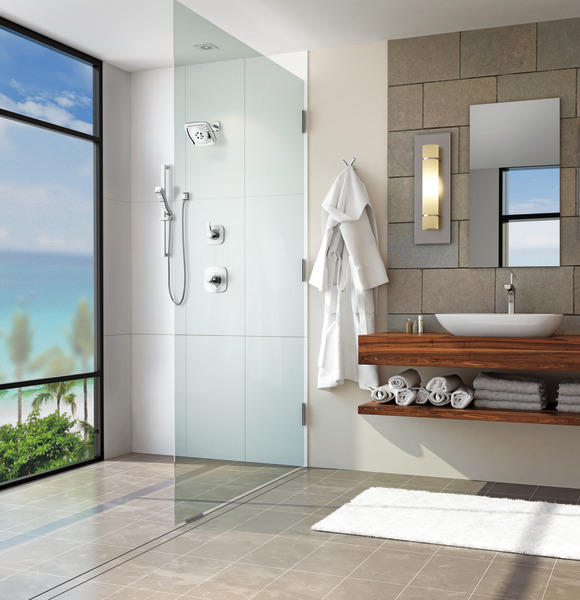 It is simple to operate and the water flow is soft and not splashy. As it was installed by the contractor, I can't vouch for its ease of installation but judging from how fast they had it installed, I'm assuming it's quite easy for them. Maintenance wise, it is fairly straightforward to clean and thus far have stayed shiny 5 months in. 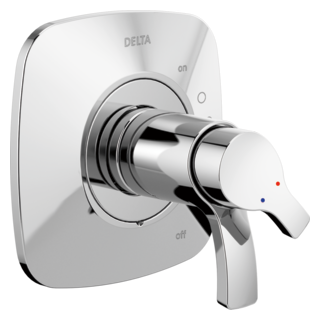 I have a Delta 752LF-PN vessel faucet. 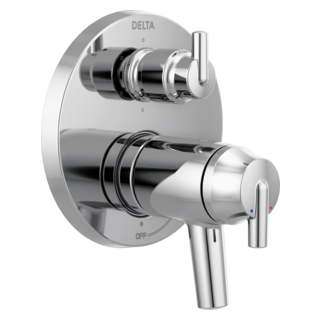 Does Delta make a compatible aerator that will allow me to replace the laminar flow with an aerated flow. I am having oversplash problems. Thank you. My faucet is installed and is beautiful. How is the drain plug,open/close, actuator installed? NO actuator location is indicated in the instructions.